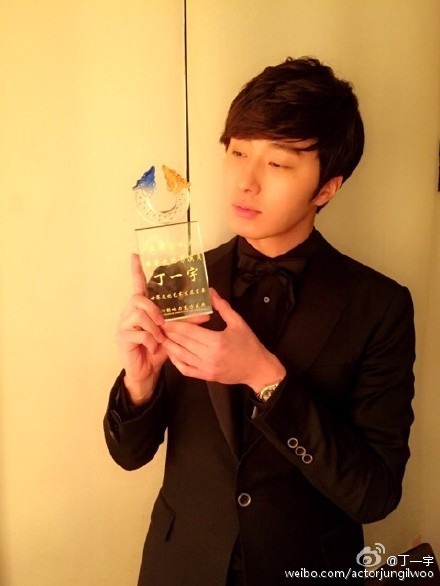 Korean actor Jung Il-woo shared commemorative photos following his win at China's Asia Influence Eastern Awards, held in Shanghai on Monday. Jung and actress Lee Yoo-ri were invited as the Korean attendees of the annual awards gala, which celebrates the achievements of influential figures in fields ranging from entertainment to public service. The 27-year-old, who wore a black studio K LA FIGURA tuxedo to the event, won the Most Celebrated Actor award at the ceremony, which was hosted by Traveling Star Column Group. 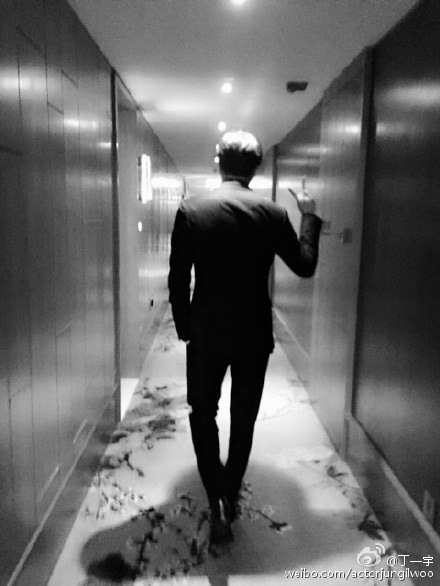 The actor took to Weibo shared photos captioned "I won an award" and "Hi ... 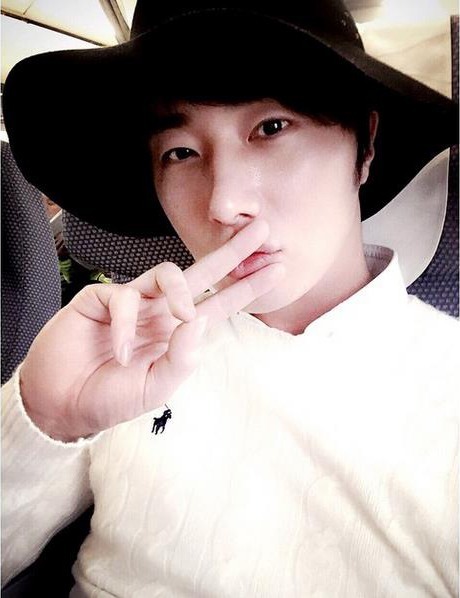 I'm going to Seoul ... see you in Beijing on Feb. 1" for one selfie taken on his return flight. Jung held a fan meeting in Taiwan on Jan. 10 and is scheduled to hold fan meetings in China, Malaysia and Japan.